Corruption Perception Index: What does it really mean? On Jan. 29, the global graft watchdog Transparency International (TI) released the 2018 Corruption Perception Index (CPI). Indonesia shows marginal improvement as it scores at 38, one point higher than the 2017 score at 37. 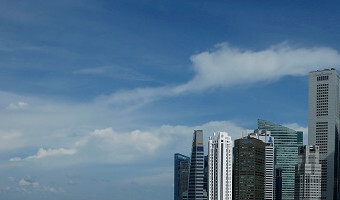 In Southeast Asia, Indonesia ranks fourth after Singapore ( 85 ), Brunei Darussalam ( 63 ), and Malaysia ( 47 ). Other neighboring countries scoring less than Indonesia include the Philippines ( 36 ), Thailand ( 36 ), and Timor Leste ( 35 ). The release of a new CPI report always makes headlines. However, do we really understand what CPI really means? People refer to the CPI as an indicator of corruption across countries since it was introduced by TI in 1995. As a leading global indicator of public sector corruption, according to TI, the Index sends a powerful message and governments have been forced to consider and act on graft in their countries. A senior partner of an international anti-corruption agency, Global Integrity Group, Stuart Gilman argued that … [Read more...] about Corruption Perception Index: What does it really mean?